VERY roomy 5 bedroom 4 bath canal front, pool home in the heart of Anna Maria City. Bright and open floorplan with a vaulted ceiling, stone fireplace, and hardwood floors throughout. There are two living areas on the main level as well as a game room downstairs. Also, a spiral staircase leads to the crow’s nest for even more living space which has impressive views of Tampa Bay and the Sunshine Skyway Bridge. For you boat lovers the canal offers easy access to Tampa Bay and there is a dock and lift ready for your boat! Tons of storage as well as built in bookshelves are just some of the extras you will find. Great family home or would make an awesome rental! Please, send me more information on this property: MLS# A4433156 – $1,399,000 – 525 Loquat Dr, Anna Maria, FL 34216. 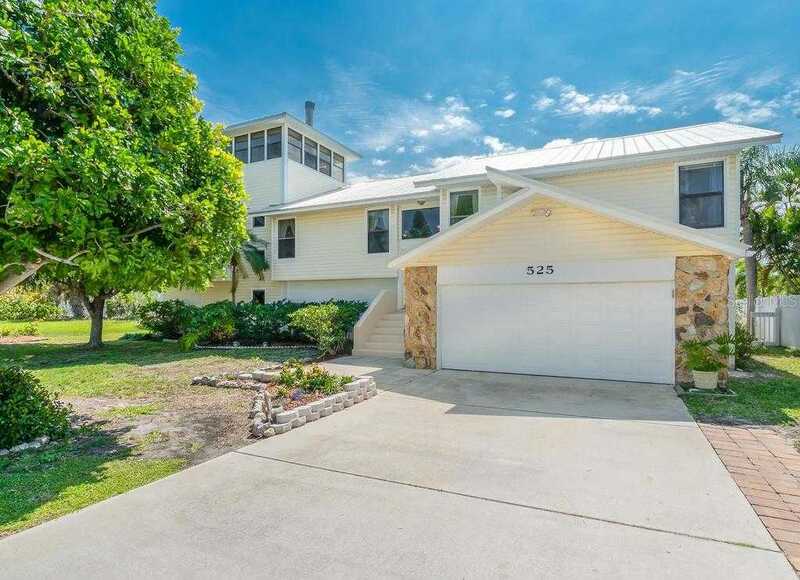 I would like to schedule a showing appointment for this property: MLS# A4433156 – $1,399,000 – 525 Loquat Dr, Anna Maria, FL 34216.